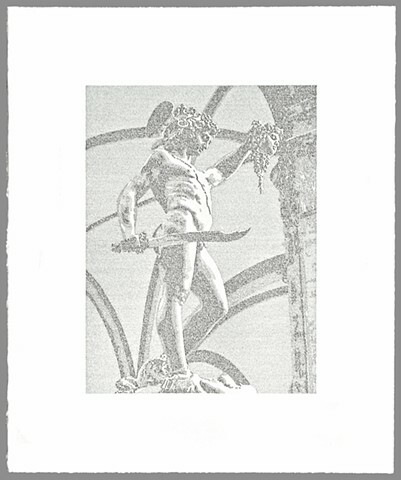 This drawing of the Benvenuto Cellini sculpture of Perseus with the Head of Medusa is made with handwritten text from Lewis Carroll's Through the Looking Glass. Paper: 24 x 20 in. ; Image: 16 x 12 in.